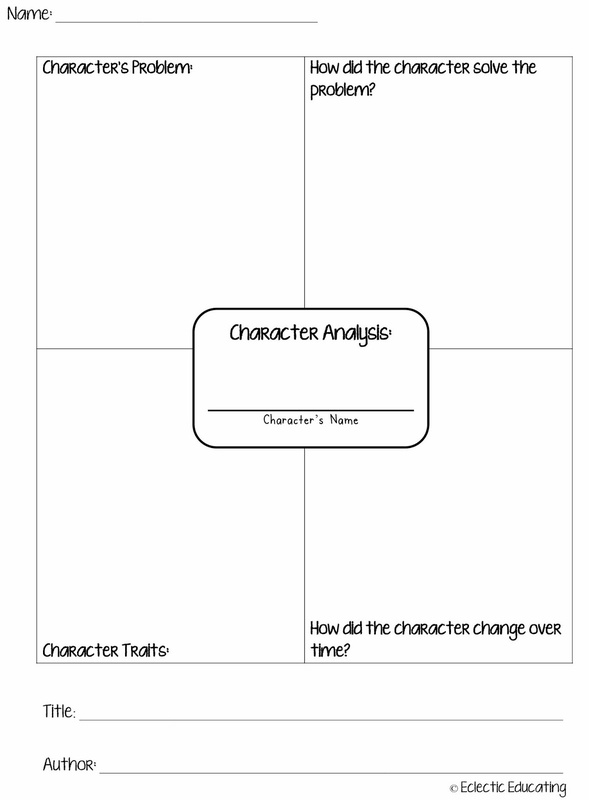 Today I am going to be sharing about character analysis, one of my favorite things to teach! Characters play such an important role in the stories we read. They make the stories what they are! For this reason, I love teaching my students how to analyze characters. The truly great stories have such wonderfully complex and fascinating characters. To begin, I reviewed the concept of characters with my third graders. We discussed how characters can be people, animals, or creatures. When we read our stories, we discussed how we play extra close attention to our characters' thoughts, feelings, actions, and especially how they change throughout the story. Together we brainstormed a list of popular character traits, which we added to our anchor chart. We read three stories with very strong characters. When working on character analysis, make sure the characters in the stories you choose are complex enough to be analyzed. 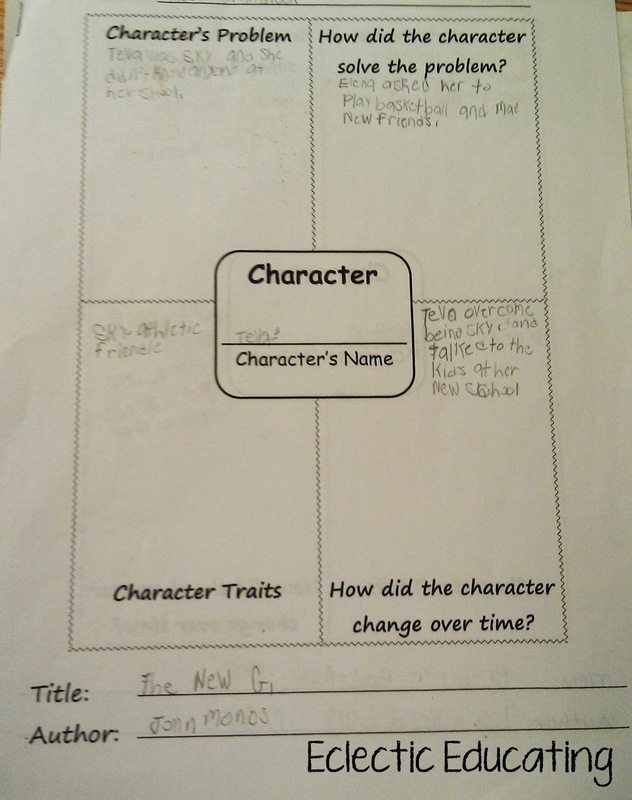 With the first book, I modeled how to fill out our character analysis graphic organizer. 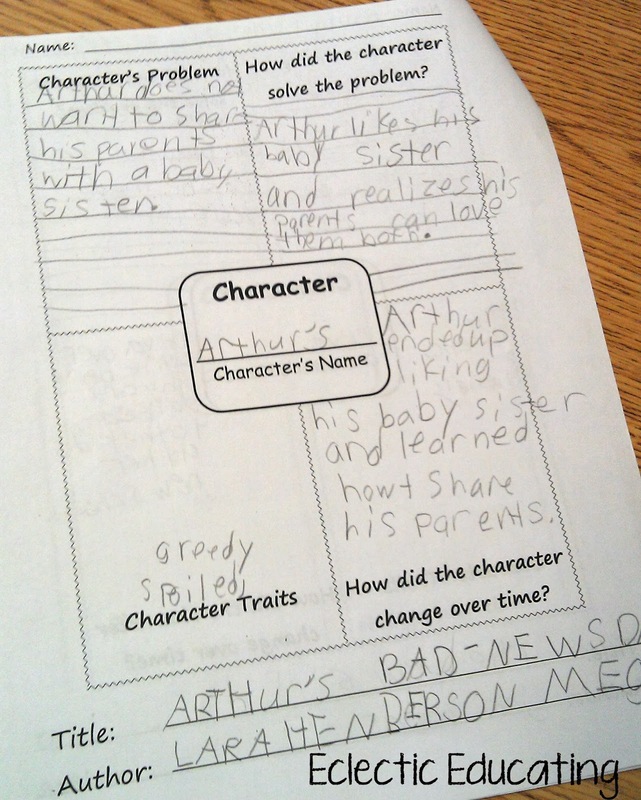 On the organizer, I identified the character's problem, how the character solved their problem, character traits, and how the character changed over time. For the second story, we completed the graphic organizer together. (Reading A-Z has a great book called Arthur's Bad News Day that works great for character analysis!) Then, for the final story, I chose a short story from an old Highlights magazine. Students completed the graphic organizer independently for the last story. 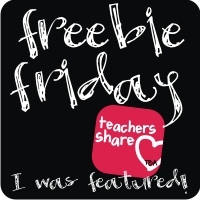 If you would like a copy of the graphic organizer, click here, or on the image above! What are some of your favorite books for teaching about characters? Arthur books are great for teaching about character traits/analysis. Right now we're just getting into it with Andy Shane and the Very Bossy Dolores Starbuckle. My group is having a little bit of trouble getting past the idea that characters can have feelings. It all seems very surprising to them, and I'm not sure why! 3 days into the book, one asked me who Dolores was. Time for an intervention? Amy, your posts are always fantastic! I know I'll always find something I can take back and use in my classroom and this one was no exception. Thanks for the freebie! 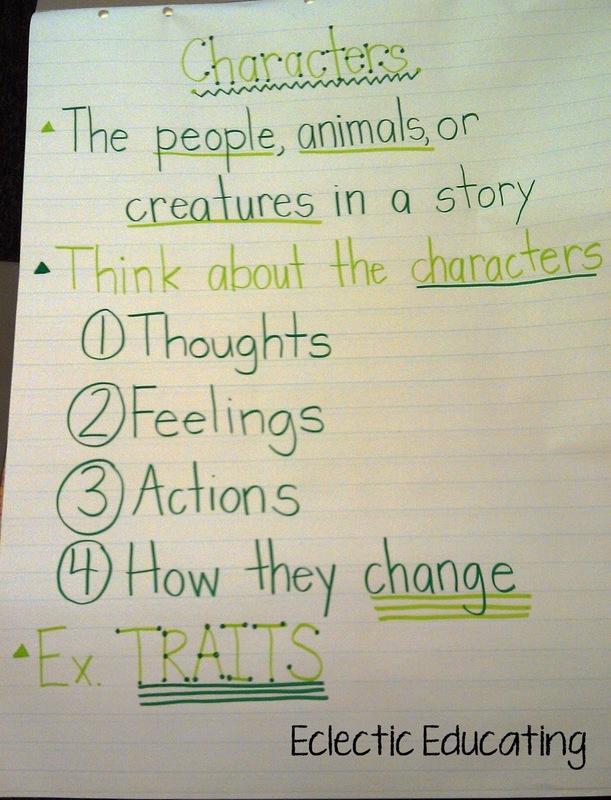 This worksheet seems like a very good way to make the kids think about a story and the characters in it! Thanks for sharing at Manic Monday! Come visit me at Readbox!